Is A Color Security Camera Better Than Black And White? Making the decision to install wireless security cameras around your home can make a major difference in your life. It is completely normal to feel nervous about something happening to your home, belongings and the people who you love, and many people purchase security cameras just to have a bit of assurance. Not only can these cameras help you to sleep better at night, however, but they can also help to deter crime and to catch those who have committed crimes on your property. 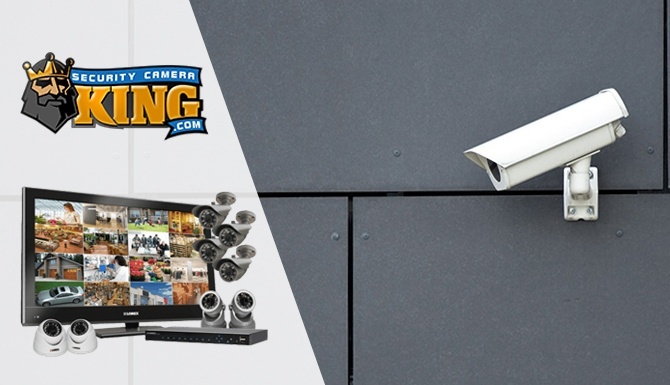 If you aren’t quite convinced that you need surveillance cameras outside of your home, you should consider learning a bit more about these surveillance systems. In today’s world, it is risky not to take all of the safety precautions that you can, and nothing is more important than keeping yourself and your family safe. Many people come up with a long list of excuses for why they think installing wireless security cameras for the home is unnecessary, but doing so is actually a good idea for most people. It does not have to be overly expensive or incredibly complicated. Nowadays, it’s easy for average folks on average budgets to purchase security camera systems, and most of these individuals are happy that they did. 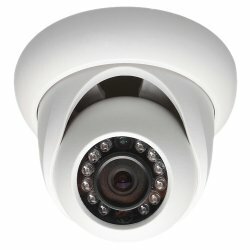 What are Wireless Security Cameras? 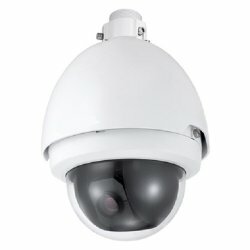 When people think about security cameras, they often think about big and bulky security cameras with lots of wires. Although all security camera systems used wires in the past, today’s cameras are much more technologically advanced. Not only can you now get a clearer picture from your cameras, but you can also eliminate the need for wires. There are a lot of options out there for those who are shopping for wireless security cameras. You can choose from indoor and outdoor models, and you can also determine whether you would like for your wireless cameras to be used for daytime use, night time use or both. Why Are Wireless Cameras Better Than More Traditional Cameras? Those who have been using surveillance cameras for a long time might argue that more traditional cameras are fine for surveillance purposes, and they are right in a way. If you have an existing security system that uses wires, you don’t necessarily have to switch out your entire system right away. However, there are plenty of benefits to doing so, and those who are purchasing a surveillance system for the first time should certainly consider wireless cameras over traditional models. First of all, you can’t beat the convenience of a wireless security camera system. 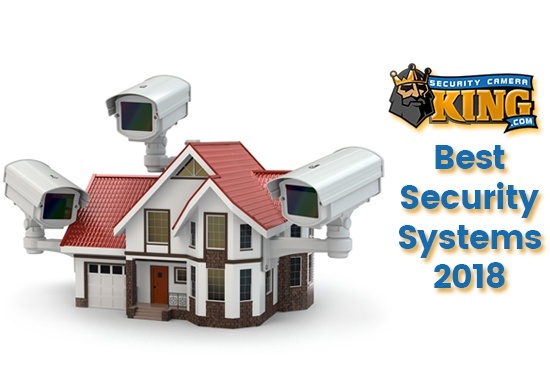 Installing these systems is much easier than installing the security camera systems of the past, and those who never felt capable of installing security systems in the past can now typically do so with ease. It is also easier to move cameras around if you have a wireless system, and you don’t have to worry about all of the hassles that go along with moving and hiding wires. It can also be said that wireless security cameras are more effective. Although there are ways to conceal the wires that come with more traditional security systems, the wires can put you at a bigger risk. Criminals who spot wires that go to security cameras can quickly cut or snap these wires, and you will then lose your footage and will not have any evidence of the situation; you will also have to replace your security camera. This is not an issue with wireless systems, however, and wireless security cameras that are hung high enough are difficult to tamper with, meaning that you are at a decreased risk of having your surveillance cameras stolen or vandalized. This alone makes wireless security cameras worth it for many people. Do You Need Wireless Security Cameras Outside of Your Home? Many people do not have video surveillance outside of their homes, but you are taking a big, unnecessary risk if you do not have this type of security. You never know what could happen on your property, and failing to keep an eye on your lawn and the area surrounding your home could make you a target for crime. There are several reasons why installing wireless security cameras outside of your home is a good idea. First of all, security cameras work as a highly effective deterrent for crime. Although there are some criminals out there who are willing to take a risk in front of a security camera, most petty thieves and even a lot of experienced criminals prefer to choose another target. This means that installing a simple security camera system can help to prevent crime before it ever happens. It is important to realize that security cameras do not combat all crimes, however. In the event that someone does decide to commit a crime, it is good to have video surveillance of what happened. You can turn this video footage in to the local authorities, and law enforcement officers might be able to find the evidence that they need by watching this footage. Not only will this type of evidence make it easier for your local law enforcement officers to catch the person who committed a crime on your property, but it can also help prosecutors to convict the individual who robbed your home, vandalized your property or committed another crime. This can sometimes help you to recover your lost belongings or to have your vandalized property repaired, and it can also help to keep the streets in your neighborhood safer. Do You Need Wireless Security Cameras Inside Your Home? Although not everyone decides to install wireless security cameras inside their homes, you might be surprised by the number of people who do. In today’s world, you can truly never be too careful, and installing security cameras inside the home can help you to protect the ones that you love the most. One common use for these indoor security cameras is use as a nanny cam. Although you probably trust your babysitter or nanny, you never really know what goes on when you aren’t around. Not only can you use wireless security cameras in order to make sure that your children are not being mistreated, but you can also ensure that your babysitter is doing her job and isn’t breaking any rules at your home. Wireless security cameras can also help to protect you from theft. If you have a lot of people constantly coming in and out of your home, such as cleaning ladies, maintenance workers and others, you are putting yourself at a risk of theft. With wireless security cameras, you can keep an eye out for this type of activity and can take necessary action if something does happen. First of all, you will need to determine how many cameras you will need. You will also need to decide what types of cameras you would like to purchase and what type of system you will need. Fortunately, you can find all of this equipment and more online. After you have made these decisions, you will want to check out an online retail store that specializes in selling security-related equipment. Doing so can help you to have the largest possible selection to choose from, and it can also help you to get a great deal on your equipment. Once you have found a good online retail store, you will want to take a look at all of the equipment that is offered. Choosing between various equipment can seem tricky, but it doesn’t have to be. Once you have determined a budget and the type of features that you need, it shouldn’t be difficult to make your selection. If you need help, experienced security experts at these online retail stores are often more than happy to answer any questions that you may have, so don’t be afraid to ask for assistance. Doing so can give you a fresh take on the situation and can help you to find the best possible equipment for your budget. You can also use the Internet to compare various cameras, digital video recorders and other security-related equipment. By reading the specifications of each item and taking a look at customer reviews, you can typically find what you need with ease. Before you get to work, you should sit down and write out a plan for where you will place your wireless security cameras. This is a bit easier for those who purchase wireless cameras rather than more traditional cameras with wires because you have a bit more freedom in your placement. Whether you are planning on placing your cameras indoors or outdoors, you will need to write out a plan of which areas of your home you would like to keep under surveillance. Choosing the placement of your cameras can be tricky, but you should think about the areas of your home that could compromise your security the most and the location of the things that are valuable to you. For instance, you might want to make sure that your front and back entrance is under surveillance, and you may also want to keep an eye on the area right against the side of your house. If you have a garage, you may want to keep an eye on it in order to protect your vehicles and other belongings, and it is a good idea to keep an eye on any outdoor storage sheds, particularly if you keep expensive tools, ATVs, lawn mowers or other expensive items in them. Once you have determined the areas of your home that you would like to keep an eye on, you will also want to find a good spot for your camera that will get a clear view of these areas. Although it might be easy to find a spot that will be able to capture clear footage of these spots, it can sometimes be trickier to find a place to hang your cameras so that they are not subject to theft or vandalism. Make sure that you pick a spot that is high enough off of the ground that a thief cannot easily get to it. After determining the proper placement of your cameras, actually installing them typically is not very difficult. Your security cameras should come with an instruction manual that will give you a bit of guidance, and it shouldn’t be a problem to mount your cameras to the outside of your home, a tree or other areas of your lawn. Once you have hung your cameras, you will need to turn them on and set up your system. Watching your surveillance footage on your monitor can help you to determine whether you have placed your cameras in the right spots. If you notice that you aren’t seeing everything that you want to see in your footage, you can carefully adjust your cameras until you get the right view. Although it might take a bit of trial and error in order to get your cameras in the right places, taking this time to get things right is worth it in the long run.